The 34th Annual Columbus Arts Council Auction & Gala there will be live and silent auctions, delicious food, and live music in our biggest fundraising event of the year. 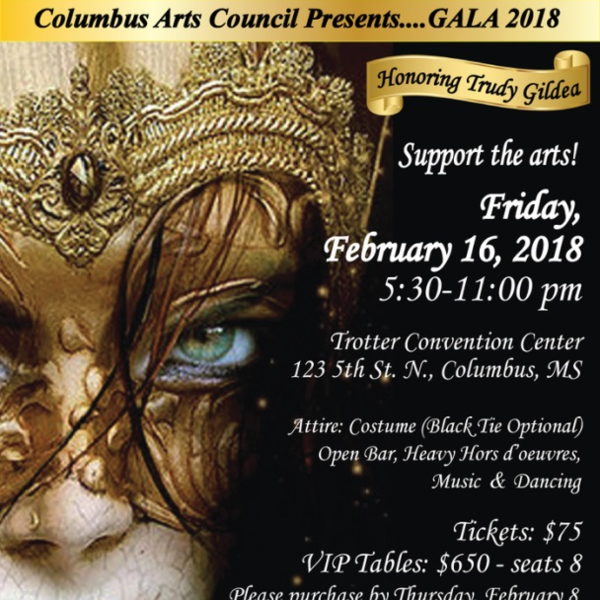 The Columbus Arts Council presents GALA 2018, a Masquerade Ball honoring Trudy Gildea, Friday, February 16, 5:30 p.m. until, in Trotter Convention Center. •	Help with coat check. •	Help take auctions items that didn't sell back to the CAC.